A migraine is a severe pounding or pulsing headache that commonly starts in the forehead and moves toward the side of the head and around the eyes. It is a form of vascular headache which affects about 28 million Americans, with women being affected more often than men in the general population. Migraine headaches are caused by a combination of the enlargement of blood vessels and the release of chemicals from nerve fibers that coil around the blood vessels. During a migraine attack, the temporal artery, which is found just under the skin of the temples, enlarges and causes nerves to stretch around the temporal artery. The tension of nerves then triggers the release of chemicals that cause inflammation, pain and even more enlargement of the artery. The increasing enlargement of the artery intensifies the pain. Moderate to severe, throbbing head pain, most commonly on one side of the head. Head pain that worsens with physical activity. Sensitivity to light and/or sound. Untreated attacks most commonly last from four to 72 hours, and may persist for weeks. If your headache is accompanied by convulsions, fever, severe mental confusion, or any type of acute pain around your face or ears, you should contact your doctor immediately. Another form of headaches are due to muscle contractions. See our headache remedies page for more information on the similarities and differences between these tension headaches and migraine headaches. Compresses of ice can help to constrict blood vessels, returning them to normal size. Therefore, an effective home remedy for a migraine headache is to take a soft, cold ice pack and wrap it in a towel. Then hold it against your temples and forehead, alternating positions every few seconds. Repeat this for up to three minutes to alleviate migraine pain. The flowers of henna have been found to be very effective at curing headaches and migraines. A simple home remedy is to dip henna flowers in vinegar and then rub them against the forehead for quick pain relief. When you feel a migraine coming on, Chamomile is a wonderful preventive measure to limit the severity of the pain. Simply take a cup of chamomile tea when you start noticing migraine symptoms. Niacin has been shown to be helpful in relieving migraine pain. Valuable sources of this vitamin are yeast, whole wheat, green leafy vegetables, tomatoes, nuts, sunflower seeds, liver and fish. Therefore, vitamin tablets containing at least 100mg of niacin can be taken daily for treating migraines. A simple remedy for migraine pain is to take 120mg of Ginkgo Biloba extract daily before any meal. Ginkgo Biloba has been found to help increase blood circulation and relieve migraine pain. Researchers believe that low levels of magnesium are a major cause of migraines, since magnesium is considered to be effective at relaxing the body. Therefore, regular consumption of magnesium supplements may help alleviate migraine pain. Fruits, nuts, and dark green, leafy vegetables are a great natural source of magnesium, so a cocktail of fruit and vegetable juices is very beneficial for alleviating migraines. Carrot juice combined with spinach, beet and cucumber is great for migraine pain relief. Simply use a juicer to combine 300ml of carrot juice with spinach leaves. Then add up to 100ml each of beet and cucumber juices to the mix. Fresh grape juice has also been found to be effective for migraines. Simply grind fresh, ripe grapes and drink the juice directly without adding any water. Many people find that certain foods always seem to trigger a migraine. Unfortunately, these trigger foods often vary from person to person so there is no easy list that applies to everyone. If you know which foods trigger your headaches, then a simple solution is to avoid them in your daily diet. However, if you still don't know which foods may trigger your migraines, then it is a good idea to start logging what you eat and also when your migraines occur. This will allow you to figure out if there are items in your diet (such as certain ingredients) that often coincide with a migraine attack. You can then try to avoid these suspected ingredients to see if they reduce the frequency of your headaches. Discover some simple ways to relieve the pain from the common tension headache. 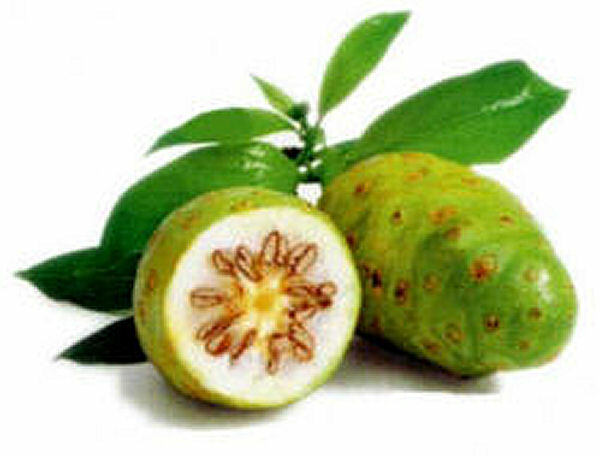 This fruit is great as an anti-aging remedy and also for improving cardiovascular health. Hi, my mom is suffering from migraine - she has a severe headache. What should she do to overcome it. We all are worried -she has taken a lot of medicines and still is not cured. Please suggest some treatment. Thanks. It is one of the best article on home remedies for migraine headaches. When I got pregnant at 26 with my only child - 22 years ago - I started getting migraines. I never had them before. However, on the contrary, my daughter had migraines all her life until she got pregnant and they went away after forever. Mine have increased in frequency and pain over the last 2 decades. There seems to be no answer for it. I tried hot showers/hot packs and many other things to reduce them. But the medicines are the only thing that stop them and only sometimes. I do wish you all best of luck. Take feverfew, 400mg magnesium, and B2, I promise you this will take Migraines away! Acupuncture can cure migraine. I had migraine for a whole year after a car accident. I went for acupuncture treatment for 3 months and now it's gone. I was in Texas when I started getting a migraine. I had no medicine for it so I drank 4 shots of vsop brandy in panic. I still got the arora and numbness but headache never started. I have done this at least ten times. It works every time - even my family now does the same when they feel migraine starting. This method has worked for everybody so far! Migraine is a disease related to brain. Patient may experience extreme headache during migraine attack. To minimize the migraine attacks, you need to maintain proper diet, get enough sleep, must avoid smoking and alcohol and should do exercise regularly. @Lakshmi Charan and Arshid, Taking Niacin 100mg daily, having healthy workout routine, having a good sleep schedule and drinking lots of water helps with Migraine headaches. Sometimes, some harmless food which we eat often can trigger migraine. Therefore, writing down everything you eat the day you get a Migraine helps figure out what food or ingredients in that food may be causing recurrent migraines. I'M prone to headache in winter...plz tell me remedy.